Societe Generale has acquired core banking, ID verification and card supplier Treezor, subject to approval by the French regulator ACPR. “Societe Generale will support the growth of Treezor’s clients and the transaction will foster the collaboration between our businesses and fintechs”, says Claire Calmejane, chief innovation officer, Societe Generale. Founded in 2015, Treezor has developed a payment platform in collaboration with its clients (retailers, neo-banks, client to client and crowdfunding platforms) via APIs. 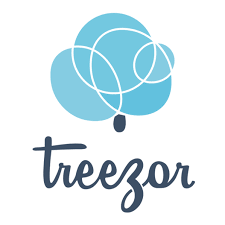 Treezor is an electronic money issuer with payment services accredited by the ACPR, a principal member of the Mastercard network and part of the SEPA network. The company offers services to 30 licensed and unlicensed fintechs. Over the past two years, Treezor grew to manage up to €3 billion in transaction flow annually and issued 300,000 payment cards. Through this acquisition, of which financial details were not disclosed, the group plans to provide services for its clients and support the development of fintechs and neo-banks. It also hopes to speed up product roll-out for the bank’s clients. Treezor, which has 30 employees, says the bank will provide payment, currency and credit services, as well as support Treezor’s international development. Societe Generale claims it was the first French bank to purchase a fintech when it acquired Fiducéo in 2015, and more recently, Lumo.